THE staff, pupils and parents of St. Brendan’s N.S. Fenit held a special celebration day last Friday 24th June. They were celebrating all their hard work and achievements. They were awarded their 4th Green Flag for Travel. Ms. Angela Wall, Green School co-ordinator, made a special appearance and raised the flag. Staff and pupils from St Brendan’s NS Fenit with the flags they have earned during the year. They were also recognised as a Healthy Ireland Health Promoting School. 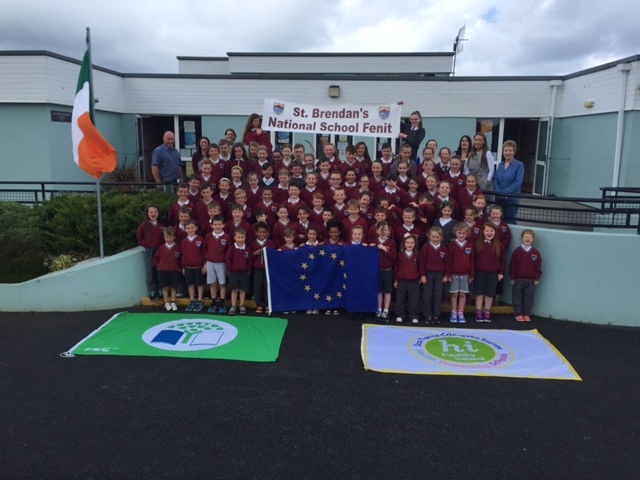 Fifth and Sixth Class spent this year learning all about the E.U. and this hard work paid off when the school was awarded the Blue Star Flag and certificate. 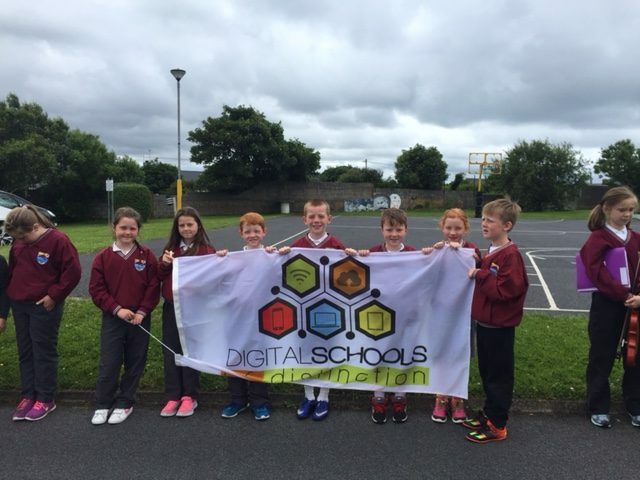 The school community was just about to begin the flag raising event when a courier arrived with a package containing yet another flag – The Digital School of Distinction. The assembled parents and grandparents were entertained by a medley of traditional Irish tunes performed by 3rd/4th Class, conducted by Ms. Aoife O’Connor. In recognition of the children’s hard work, and participation in all these programmes, the ice-cream van paid a visit and all indulged. The wonderful day would not have been possible without Ms. Caroline O’Connor, our Green School co-ordinator, and the support she received from the rest of the staff, Parents’ Council and Board of Management. Last week also saw the graduation of the sixth class pupils who staff and pupils wished them the best of luck in the future. 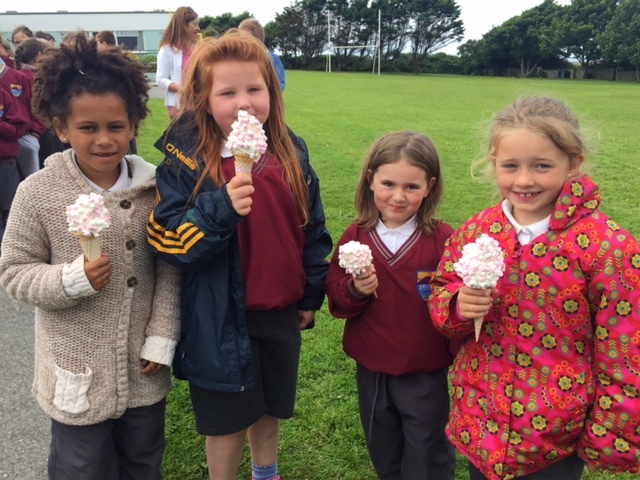 Pupils enjoying an ice-cream at St Brendan’s NS Fenit. 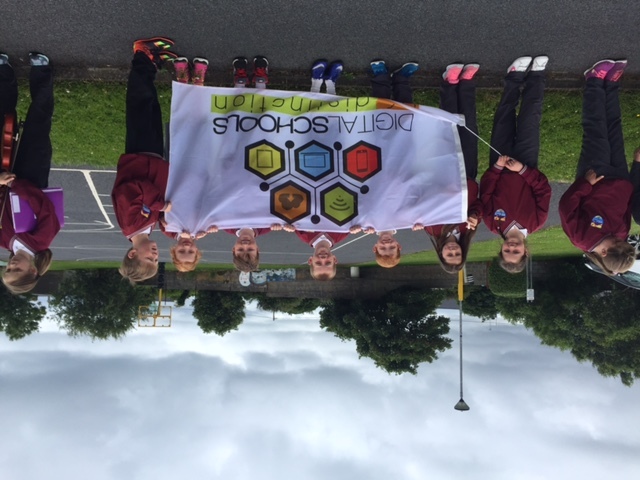 Pupils with the Digital School of Distinction Flag at St Brendan’s NS Fenit. 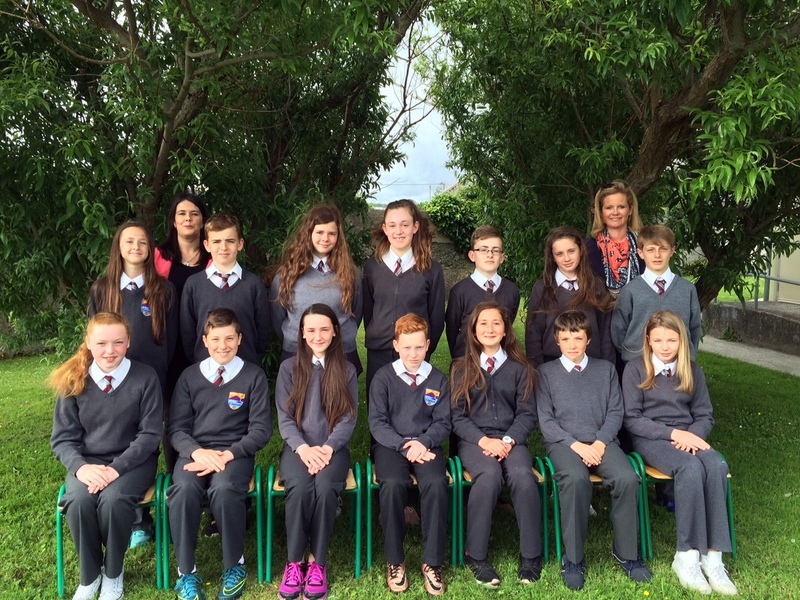 The Sixth Class pupils from St Brendan’s NS Fenit who graduated last week.